For many school projects, it is important to include visual elements along with verbal and written ones. A great way to do this for a biology project is to make a diorama detailing an animal’s habitat and lifestyle. Shoebox dioramas are good choices for an owl project because owls have different habits during the day and night. You can add as much detail as required and you can alter the diorama to suit the title of the project. Remove the lid from the shoebox and turn it on one side. Apply a layer of modelling clay to the bottom of the shoe box. Sculpt into the shape required for the owl being featured. Some owls live in flat areas while others live in more mountainous areas. The clay will allow for both of these to be modelled. Leave the clay to dry overnight. Paint the inside of the box using acrylic paints. Paint the bottom part green to represent a field and the top section blue for the sky. 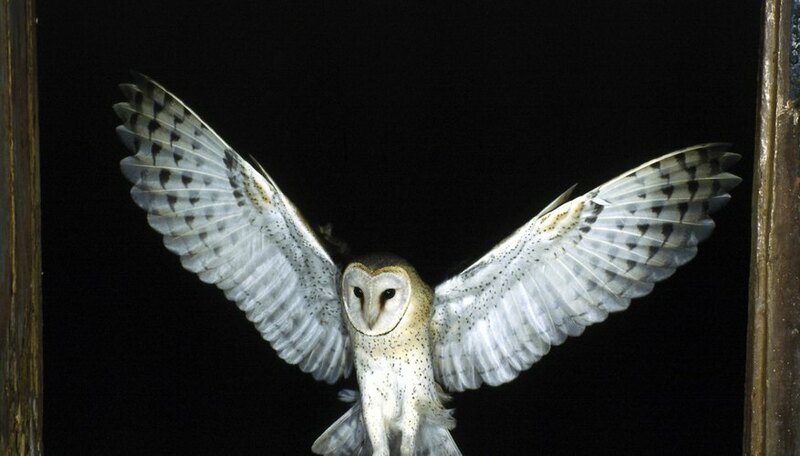 Try graduating the background from sky blue on one side to black on the other as owls hunt at night. Add details to the paint work such as stars and the moon in the night sky and brown tree trunks. Fit 3-D details such as fake grass and straw to the bottom of the shoe box and green cotton to the tree tops. Apply these using white glue, which will dry hard and clear. Make a cardboard cut out of the owl sleeping and one of the owl flying and paint the appropriate colors. Add one owl to a tree on the daylight side of the box and the flying owl to the night time side. Cut out further animal shapes in the form of the owl's prey and place them on the bottom of the shoebox. Include any other elements suitable to the project, for example threats to the owls, such as deforestation in the form of people cutting down trees, or animals that prey on the owl. Remember to do the research on the kind of owl being depicted in the diorama and get to understand the environment they live in and the prey the eat and incorporate these into the diorama.